The Grandmother stared fixedly over my right shoulder. As usual, I failed to comprehend the lesson. What are you looking at? Why are you looking over my right shoulder, and not my left? What does my right side mean? As soon as I left the acupuncture office, I got busy researching the symbolic meanings of right and left sides of the body in different cultures and traditions. It took two weeks for me to realize that the Grandmother was staring at MY FUTURE! I asked her, lying in the darkened office, Are you looking at my future? Although no words were spoken aloud, I immediately knew the answer was Yes, and my breath caught. I dared not ask the Grandmother, What do you see there? because I could not tolerate the possibility that she might show my my death. I prayed for weeks and weeks while the Grandmother continued impassively staring over my shoulder. I lay on the acupuncture table every week drifting on a sea of nausea and fatigue. I saw an Eagle, fixedly looking at me. I saw the Eagle in profile, just one eye, staring. Baleful. Death staring me down. I looked away, looked back. Away again. Back. I broke eye contact repeatedly, my own eyes watering, as if blinded by the sun. Gradually though, I could hold my gaze steady, the see-saw pendulum of avoidance slowed and I was looking Death in the eye. Time seemed to slow waaaaaaay down as I saw the path to my own death, I saw the shape of it, the direction, a path that made sense to me. Birds have an “inner eyelid,” that crosses the eye from the corner near the beak to the outer edge. We impassively looked at each other for several more weeks. I was, for once, relieved of the skin-like dread that accompanied me most of the time. 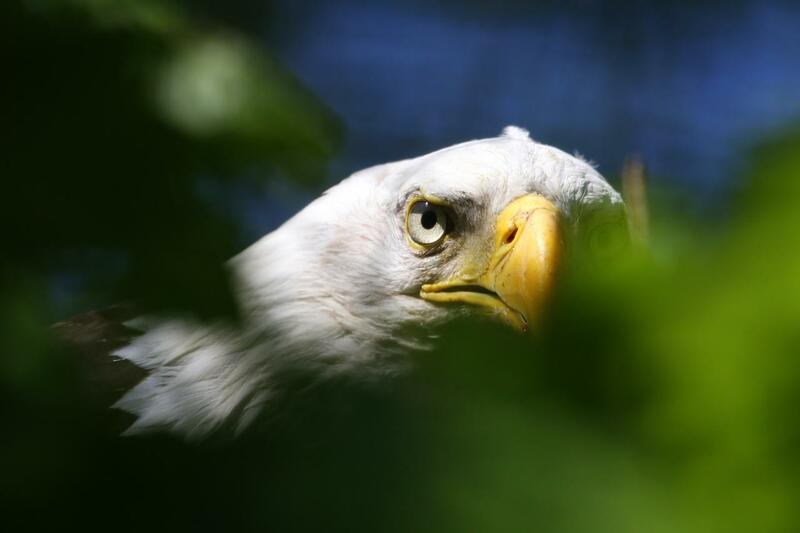 And then – unexpectedly – the Eagle blinked once, the nictitating membrane flickering across his eye. Made you blink! Thrilled, like a child, I crowed, made you blink! Made you blink. I win! Ha ha. This entry was posted in Uncategorized and tagged Aboriginal, Chemotherapy, Death, Eagle, Grandmother, Visions by TruthTeller. Bookmark the permalink.